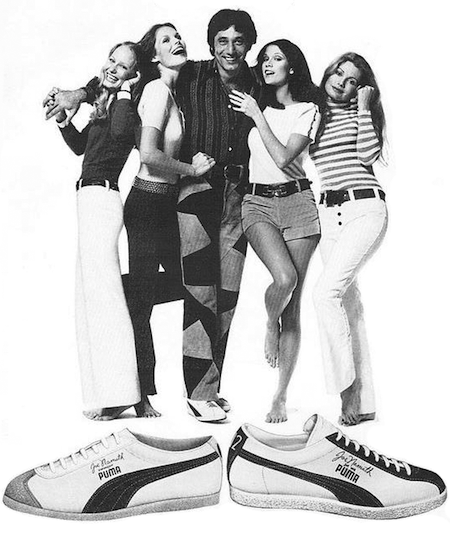 Joe Namath makes all his passes in Pumas. 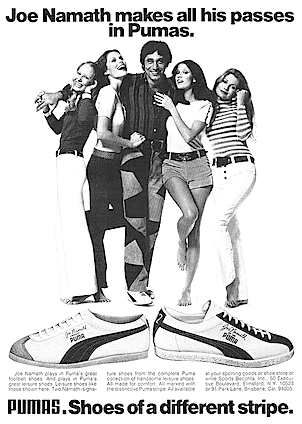 PUMAS. Shoes of a different stripe. 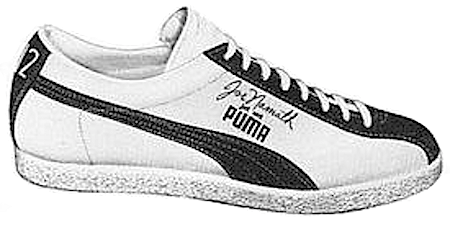 Puma Clyde basketball shoes "Clyde is wearing Pumas to play. And for play." 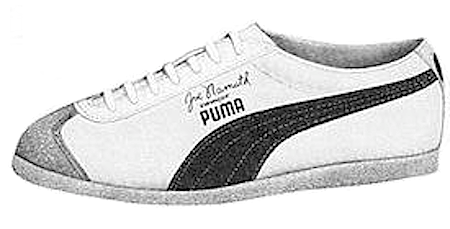 Puma Joe Namath #143 / #1650 football shoes "Joe Namath plays in Pumas."